Well. Here we all are again. Another New Year's Eve, another chance to say goodbye to a year that you either can't wait to be rid of or wish would last forever. For me this has been a year of wild twists and turns, ending with an unfortunate and deep bout of depression that I blogged about two months ago today. It took hold quite out of nowhere and really hasn't let go since, as the long period of silence on this very blog would suggest. It's a very tricky thing to explain or understand, depression is, because if you've experienced it you know there's not really anything anyone outside of the person affected can truly do about it. And if you haven't experienced it, you likely think that depression = sad/suicidal all the time and that simply isn't true. In my case, I don't feel sad at all. I certainly don't feel interested in causing myself harm. I think how to best explain how I feel would be to call it "ennui". I don't really feel anything at all, except tired all the freaking time. 24/7, 365. It's incredibly frustrating for me and I cannot even imagine how it must be for the people closest to me, like Sarah, Tim and Jill. And even though this is something I've been fighting against for a very long time, I feel it's been particularly nasty and stubborn the past couple of years in particular, mainly because I have a) not been working (for the most part); and b) been much more keenly aware of the political and sociological landscape around me than ever before, globally but in particular locally (Canada and US). I feel that, more and more, the world is being run by dangerous and stupid—and dangerously stupid—people and I have neither any real sense of hope nor of where my place might be in this crumbling society. It's not the root cause of my ennui but, my goodness, it sure hasn't helped a lick. But tomorrow is a New Year. 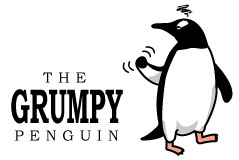 It's a year that ends in my favourite number—13—so it stands to reason it will be the Year of Steve, the Year of the Grumpy Penguin. And even though it's just another day on an arguably arbitrary calendar, January 1, 2013 is going to be a landmark day for me, not because anything in particular is going to happen but because I simply have declared it so. Whether or not that alone will be enough for me to take a hold of 2013 and squeeze the living daylights out of it is something that will really not be apparent until all three hundred and sixty-five days have passed. But here is my target for this upcoming year, simply put: when this day arrives again at the end of next December, I want to be writing my 365th blog piece for 2013. I can't be 100% sure I will be able to write one every single day of the year—and that is a very daunting "resolution" to make—but I am going to break it up into manageable chunks: at the end of each month, I will have written a number of blog pieces commensurate with the total number of days in that month. If I find early on that even that is too daunting, I will break it off into weekly chunks; however, monthly goals will, I feel, give me more latitude and be a bit easier to hit. I have been given a Christmas gift jointly by Sarah and her wonderful Mom that will help me immensely toward that goal: a Canon Rebel T3 DSLR camera. I expect there will be myriad times this year where I do not feel like I have a story to write; on those days I will have the option of just getting out with this amazing camera and shooting a "plog" (photo blog) piece to fill in the gaps. For example, this picture at right of Ashakiran, an Indian rhino at the Toronto Zoo, was shot with my new toy while Sarah and I did a "walkabout" last Friday. This animal is very special to me because a couple of weeks ago I had an opportunity to interact with her while "shadowing" my Volunteer mentor on a Behind the Scenes tour. I fed Asha, rubbed her leathery but warm and supple skin and, as a special treat, rubbed her horn and around her eyes while she pushed against my hand and enjoyed the attention. It was a profoundly moving experience and one I will never forget. As for the Volunteer training itself: it is going very well indeed and has been the one thing that has represented a constant goal every week for me, getting out to the Zoo every Friday and progressing through the course. That has been a huge help over the past couple of months. So let me just be perfectly clear here: I will attempt to post a blog entry for every day this coming year. If I have to miss a day, I will attempt to make it up before that month is out, but if I end the year with 365 postings I will be satisfied. However, some of these pieces will very likely turn out to be stream-of-consciousness musings about why I feel unable to put together a true blog piece on that particular day; many of those will be simply cathartic and/or a means to an end. If you begin to read one of that sort of posting and feel it's too heavy or uninteresting in some other way, please do not feel you need to continue to the "bitter end". I am grateful for those of you who read any of my disseminations and I am nearly 100% certain that some of them (as I am quite varied in my posting themes) have been and will be read right through by virtually nobody at all. This does not bother me in the slightest because I have long ago gotten used to the fact that sometimes I simply "speak to hear the sound of my own voice". On the other hand, there is at least a slim chance that somebody out there will read one of those....let's say "more personal" posts and find a thread within it which is very similar to what they themselves are feeling. If that happens even once then everything else I write will be simply gravy. 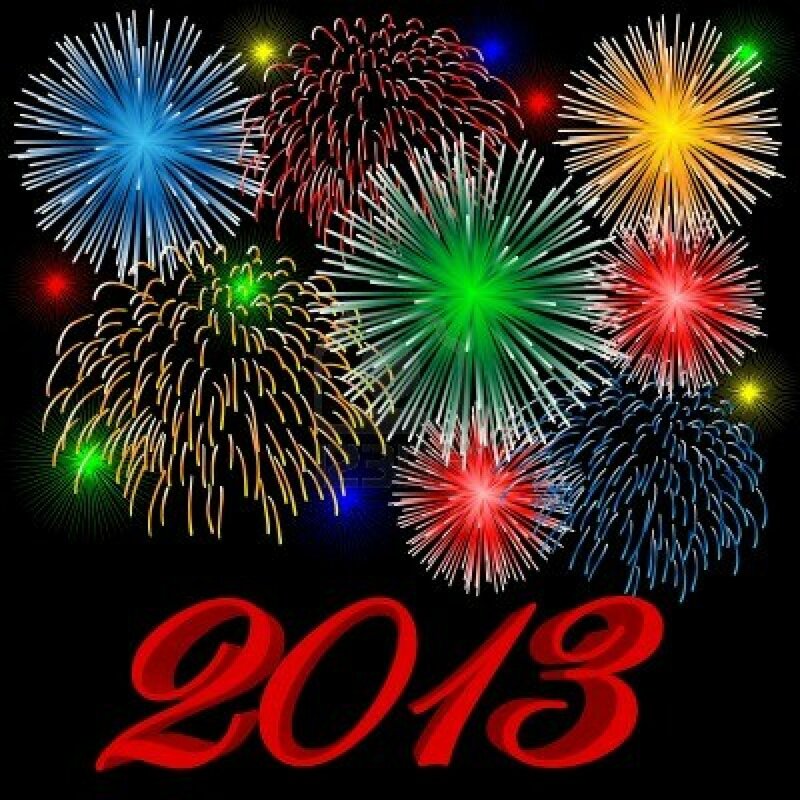 To all of my friends, family and everyone else who is reading this: have a great New Year's Eve and a happy, safe and rewarding 2013. Thanks for "listening". See you next year.